Barbara Berman’s poetry has appeared over the years such literary magazines as: Coracle, Gargoyle; Lilith; 99 Poems for the 99 Per Cent; Poetica; Off Course; 100 Poets Against the War and other publications. Her chapbook, The Generosity of Stars, was published by Finishing Line Press. She has been active in the literary and publishing community since 1979, when she organized the first independent press book festival in the country. Her poem “SAY NO” was published in the Village Voice Special Issue on Nuclear Disarmament. It was then set to music by Australian composer Vincent Plush who was in residence at Yale that year. The piece was performed in the United States and in Australia and elsewhere. 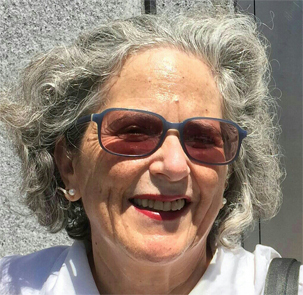 Barbara’s essays and book reviews have appeared in The Washington Post, The San Francisco Chronicle, The San Francisco Examiner, and other journals. She has served on the jury of the California Book Awards and lives in San Francisco with her husband, Clifford Lee, an environmental lawyer. Her book reviews appear regularly in The Rumpus poetry section. Currents is her first full-length collection.